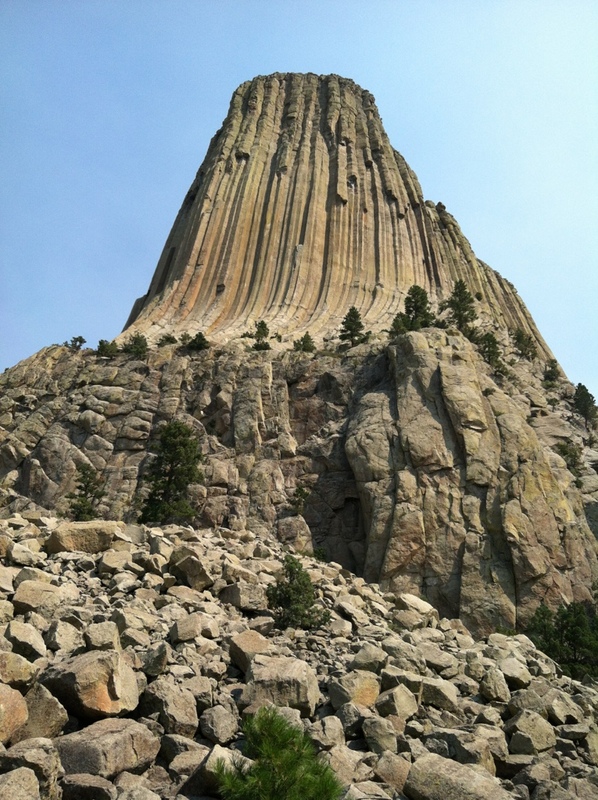 Over the years of cross-country road trips, we have passed by the turn-off to Devil’s Tower in eastern Wyoming because there was urgency to get where we needed to go. Occasionally we would see it hazy in the far distance, so I could say I had “seen it” but I really had not seen it according to Scott Momaday. 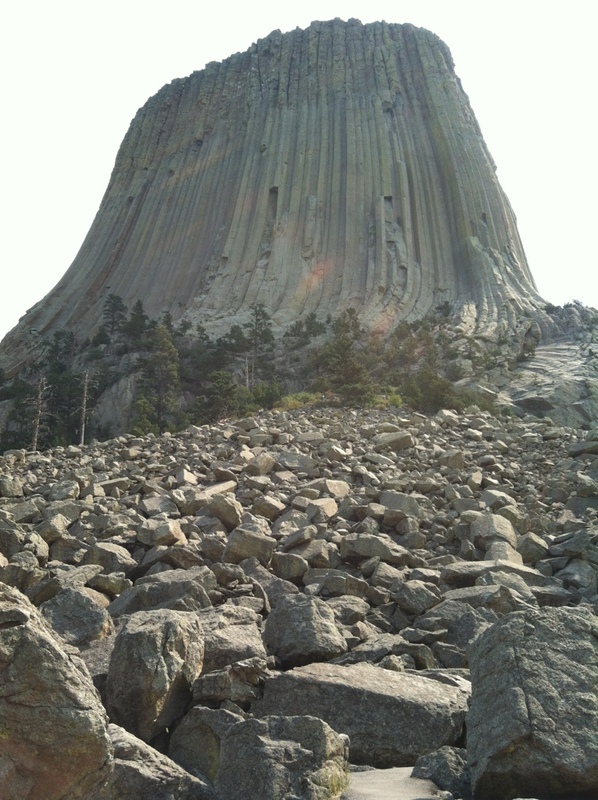 Scott is a Kiowa for whom Devil’s Tower is named Tso-i-e or “standing on a rock” and is sacred ground. The Cheyenne, Crow, Lakota, Shoshone, and Arapahoe all revere this rock monolith although most tribal members did not live near enough to see it themselves, but the legends traveled many miles through the generations through oral tradition. Today we finally made time to see the Tower up close. 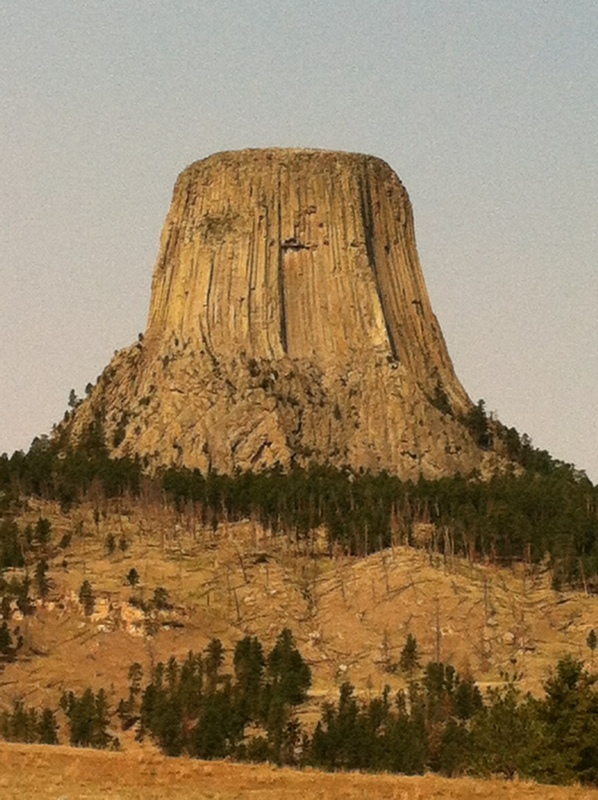 For me, this “close encounter” was meant to connect the dots from my class taught by Scott 39 years ago and to understand more fully the spiritual background of the Plains people our son now lives with and teaches on the Pine Ridge Reservation in South Dakota. The Tower is holy ground for us all-we are diminished in its presence without enshrining or worshipping it. It disquiets the heart with its awful grandeur and sheer other-worldliness. In its own way, it is resonant as Scott’s captivating stories about its origins, yet remains a reminder of the ever-changing impermanence of geologic formations. We need more holy places in our lives even as they change with the sands and winds of time. We need more awe-filled awful quiet in our hearts. We need to tell the sacred stories, generation to generation, never forgetting Who set the world in motion.